Union Adorn works with Ex Voto Vintage to define the visual brand strategy. 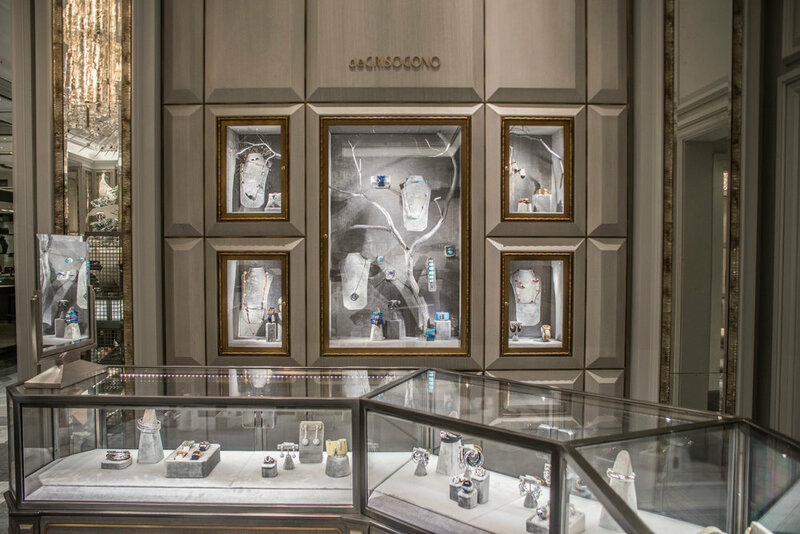 Bergdorf Goodman recently began the renovation of their main floor with a schedule to completely open for Fall Fashion Week of this year. 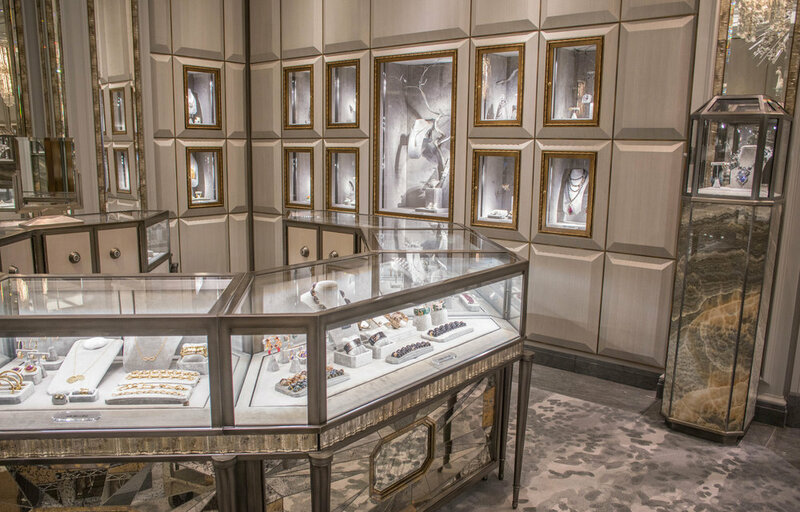 For November of 2014, Bergdorf's unveiled their new jewelry salon. Designed to emulate 1930s French moderne interiors, with visual cues from interior icons including André Arbus, Serge Roche, and Jean-Michel Frank. 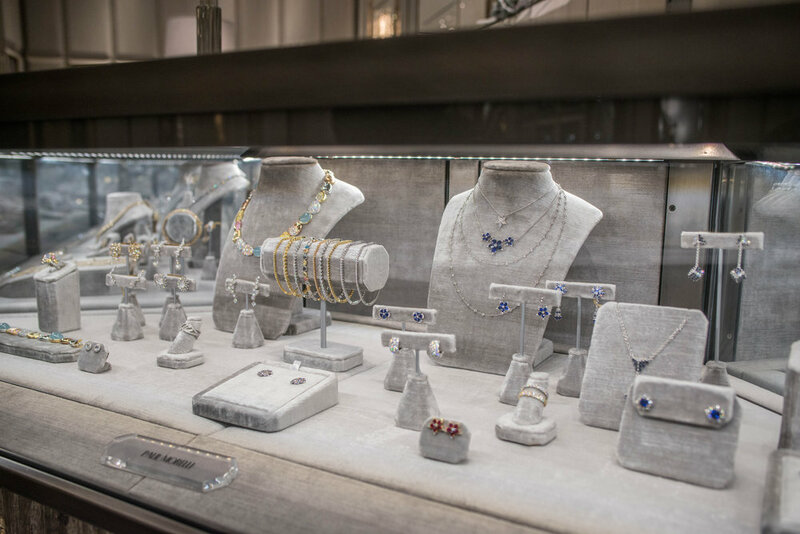 Now located at the 57th street entrance, the jewelry salon rivals that of it's neighbors in scale and grandeur - think Tiffany & Co., Bulgari and the nearby Cartier. 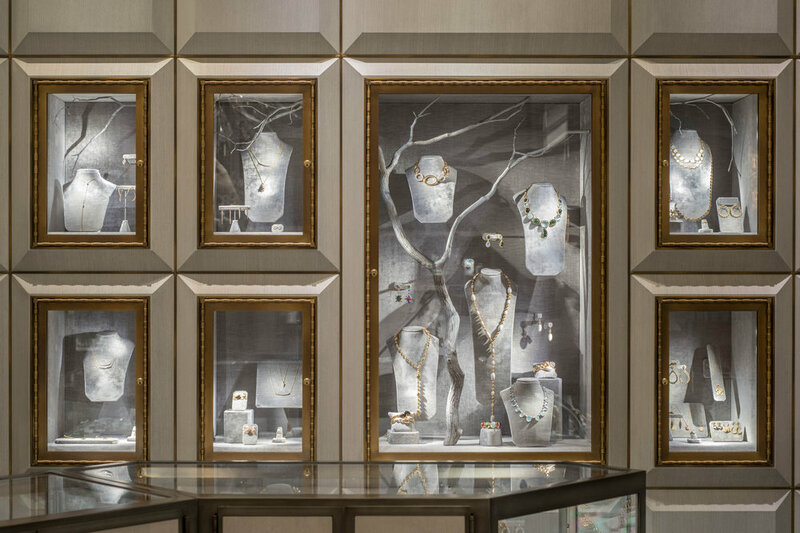 Union Adorn was brought on to support in the design of the new salon by focusing on the jewelry display fixtures. 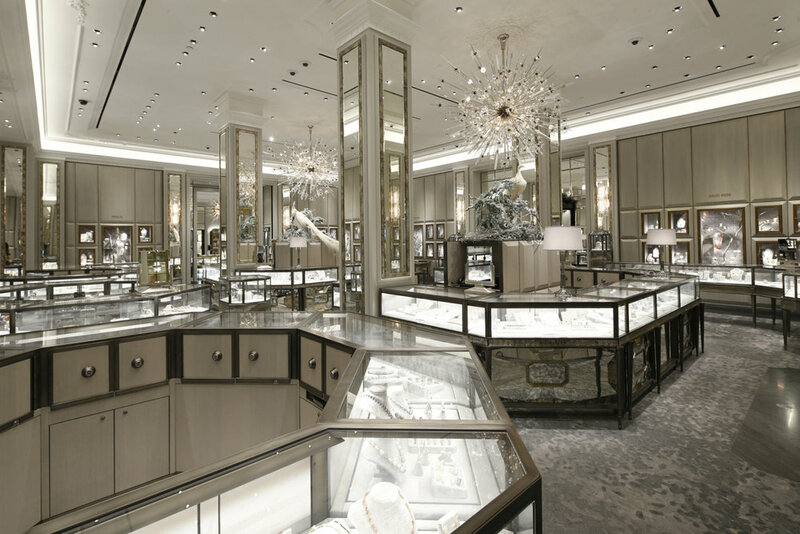 Working closely Pacific Northern, a fixture manufacturer, we designed customized display forms for Bergdorfs. 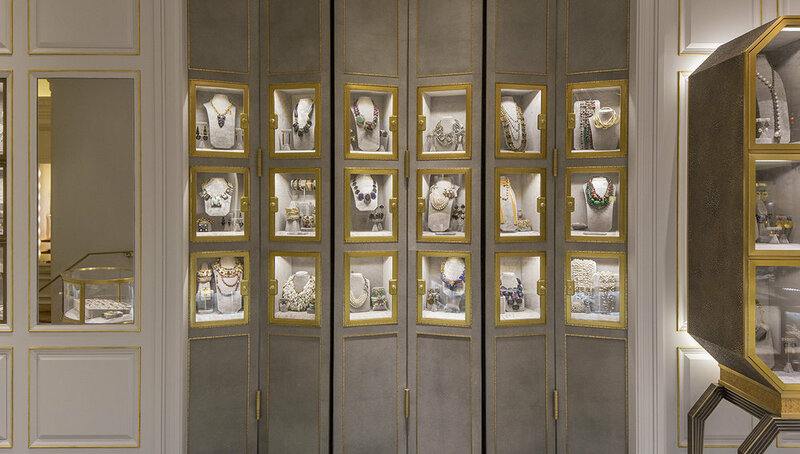 All covered in a luxurious gray striated velvet, the fixtures float magnetically on the walls and function to display over 15 different jewelry brands, featuring hundreds of styles and designs. 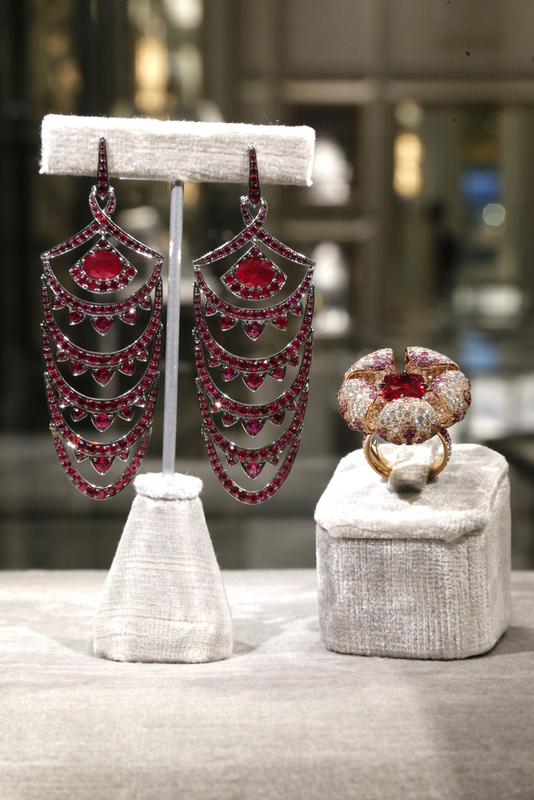 Press and mentions about this project can be found on WWD, Town & Country Mag, Racked.com, and Robbreport.com. 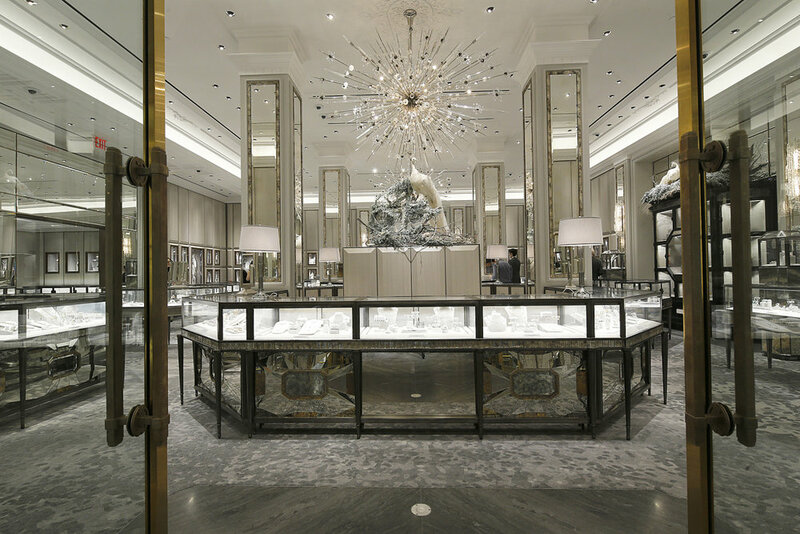 Soon to be unveiled is the final phase of the main floor renovation, which will showcase handbags and leather goods accessories. 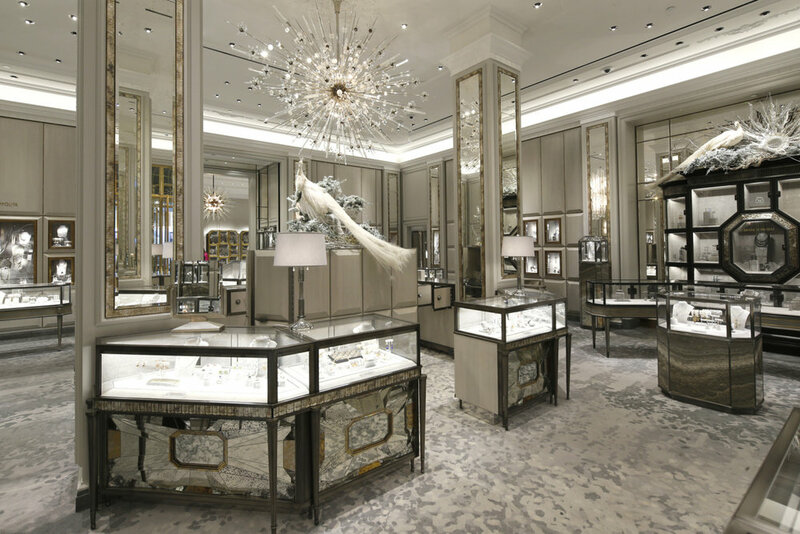 Working with the same vendors, we also supported in the design of these fixtures. 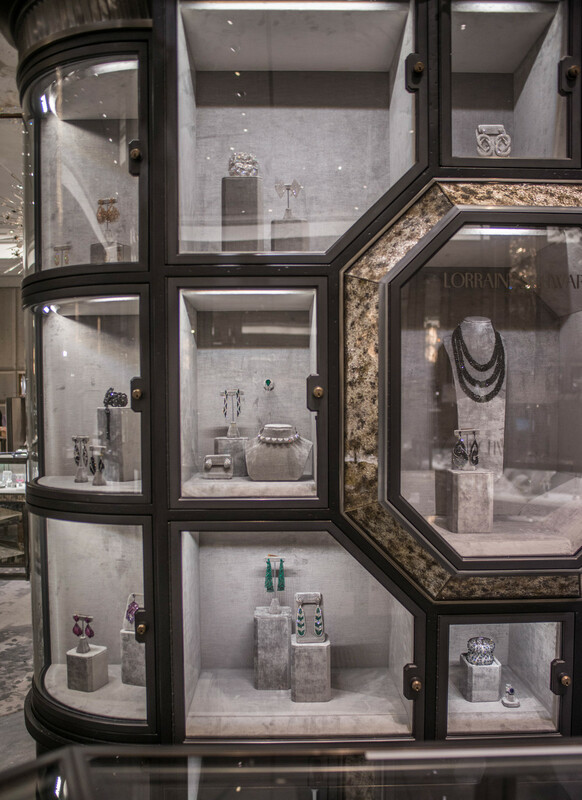 Utilizing specialty materials of cast and molded bronze and brass, the handbag accessories stands are like none other. Stay tuned for the reveal of this portion of the project, on September 6th 2016.